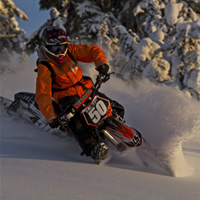 These days, snowmobiles are starting to look more and more like dirt bikes, or is it vice versa? But the ultimate mating of the two is a snow bike and love it or hate it, the technology to convert a motorcycle made to run on dirt into a snow crushing machine has really caught on. 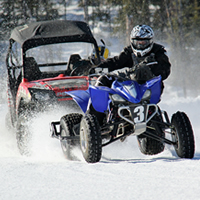 After winter held on into early April in Saskatchewan, ATVers scrambled to get out and enjoy the rest of the season. Have a bike and want to race but don’t know where to start? 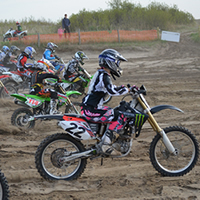 Here you will find links to motorcycle, ATV and other motorsport racing associations in B.C., Alberta, Saskatchewan and Manitoba. Even at this time of year, there’s no reason to be cooped up inside, pining away at the sight of your dirt bike parked in the shed. It’s ice racing season in B.C. and the popular Stake Lake series in Kamloops is about to get underway. Skully Helmets, a new company based in California’s Silicon Valley, is preparing to revolutionize the motorcycle world with its futuristic Skully P1 Helmet. 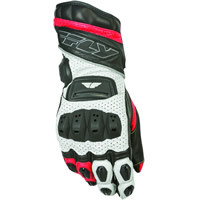 Motorcyclists looking for a pair of gloves will want to check out the new FL-2 Gauntlet Glove from FLY Street Gear. The 2014 Dakar Rally came to a standstill on Saturday as racers had reached the halfway point. The day was spent testing, tuning and recharging the batteries, so to speak. Racers also took time to celebrate their sub-victory of reaching rest day.